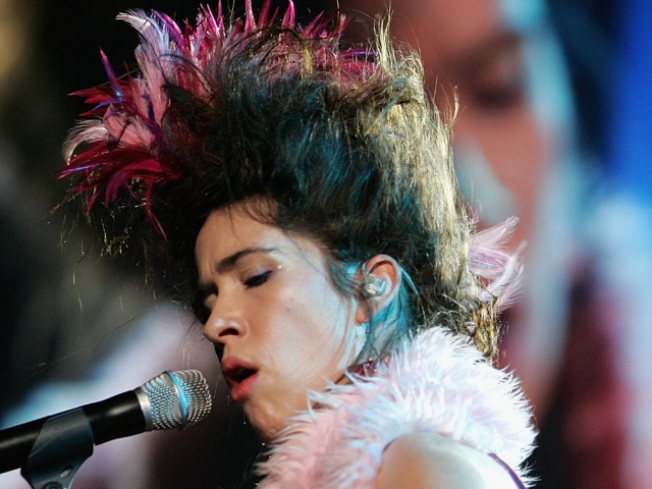 Imogen Heap plays Webster Hall on December 2. True story: When British artist Imogen Heap came off two years of touring to promote her 2005 album “Speak For Yourself”, she was – to put it mildly – a wee bit burnt out. After trying (and failing) to ignite the creative spark that would lead to new material, she resorted to the classic finger-on-the-map technique. Except, you know, virtual: She loaded up Google Earth, set it spinning and clicked. Luck of the draw? Hawaii. So she dutifully plugged "Hawaii luxury accommodation grand piano" into Google, and that’s how she happened to spend three months holed up in a Maui rental writing her just-released album “Ellipse”, full of Heap’s trademark loops and haunting melodies, with her otherworldly pipes layered over top. Tickets just went on sale for Heap's Webster Hall show on December 2. If her boundary-pushing pop-electronica isn’t enough, consider this: You can always count on her in the out-there costume department – ballskirts, bustles, geishawear, human-sized flowers, birds nesting in her hair.... We’re pretty sure we once saw her wear a transparent skirt made up of bubbles containing water and goldfish, but Google Image Search is letting us down on that tip right now. Nutshell: Girlfriend brings it. Get your tickets today. Oh and: Heap is holding auditions for a different cellist to play onstage with her in every tour city. More info at imogenheap.com/cello.